For the 2013 model year, Buick’s midsize sedan will no longer offer the base 2.4 liter four-cylinder engine as a standalone powerplant, replacing it with GM’s eAssist mild-hybrid system as standard equipment instead. 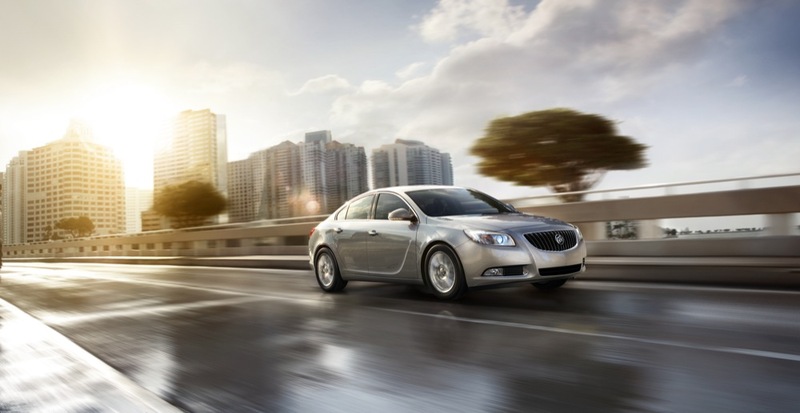 Optional on the 2012 Regal, eAssist uses a compact lithium-ion battery pack and a small electric motor to assist the engine at low speeds and on inclines, where fuel economy experiences the biggest drop. 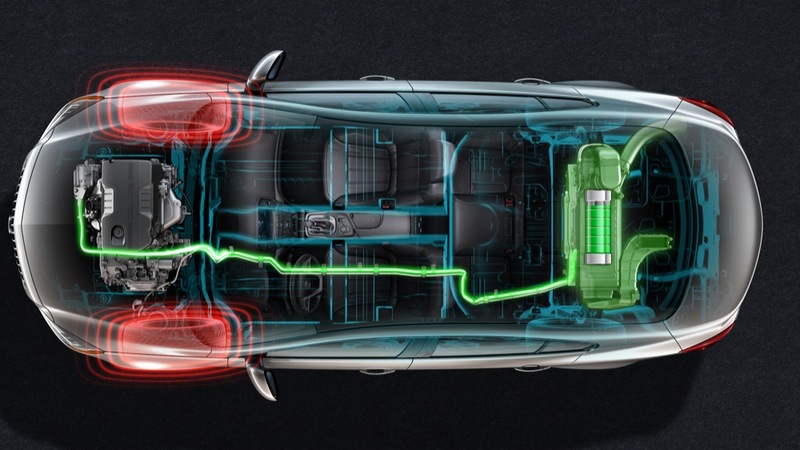 The system also features regenerative braking, engine start/stop, fuel cut-off, grille louvres that close at highway speeds, underbody panels, and low-rolling resistance tires. The result is a midsize sedan that achieves 26 MPG in the city and 36 MPG on the highway. 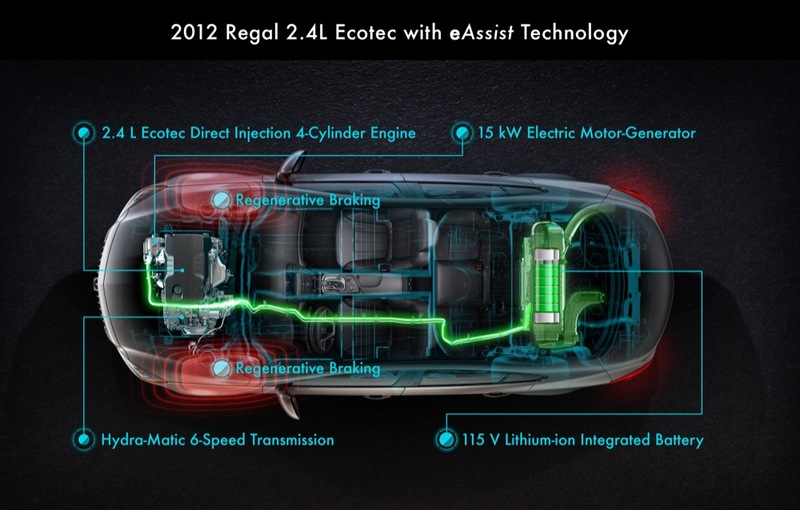 The 2013 Regal joins the larger LaCrosse in offering the eAssist system standard. The LaCrosse replaced the base 2.4 liter ECOTEC engine with the eAssist system for the 2012 model year. Buick Regal Turbo and GS will continue as they are today, with pricing and on-sale date due to be announced later this year. Good stuff, Buick. Now, how about that true two-mode hybrid system? Why not put E-assist on the smaller vehicles, like the Verano and upcoming Encore? 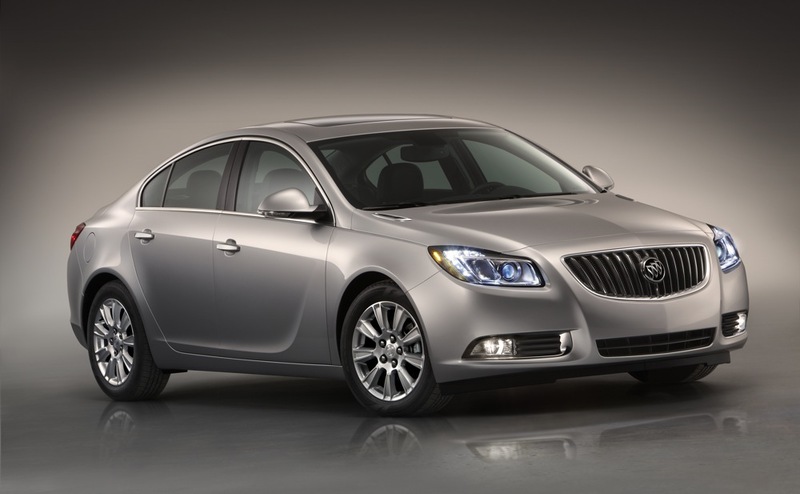 For sedan buyers the Verano, in particular, has little to offer over the Regal. People go small for fuel economy. Why no E-assist on Chevys? We have it pegged for the 2013 model year… which may explain why the info about the 2013 Verano hasn’t been released just yet. We purchased an e-assist LaCrosse this year and have been very pleased with it. The styling is superior and it meets or slightly exceeds the promised mileage numbers. 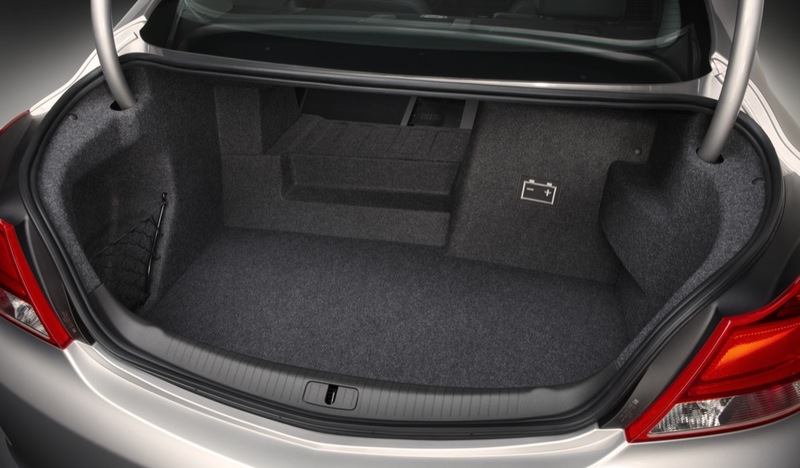 It is true the trunk space is a bit smaller but it meets all of our needs. The ride is a also a bit stiffer than we have been used to but that is one of the trade-offs for the better mileage. I hope GM is able to further refine and expand this to other models as it is a real winner!